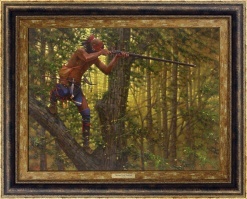 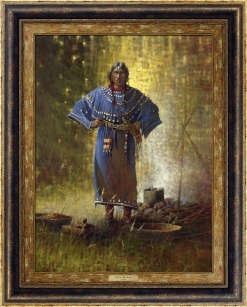 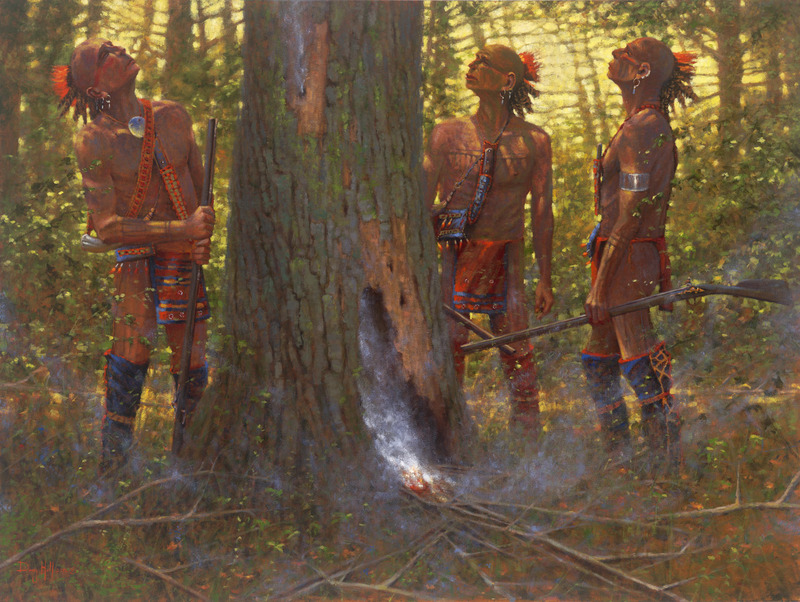 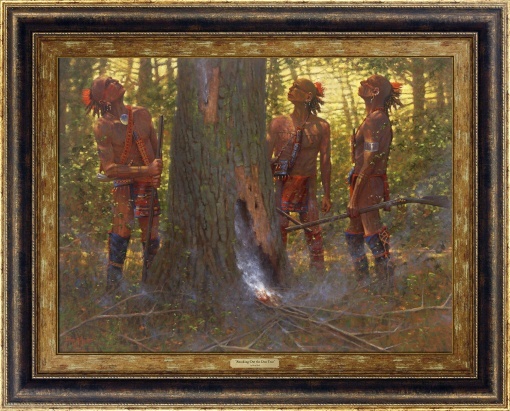 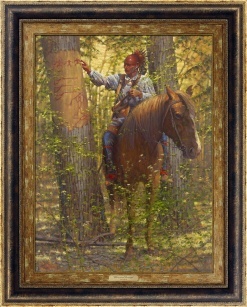 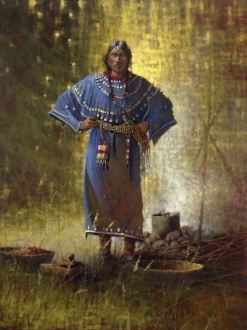 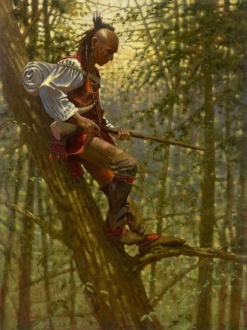 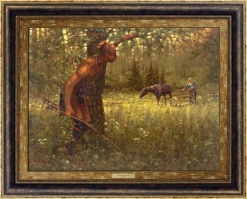 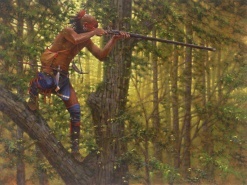 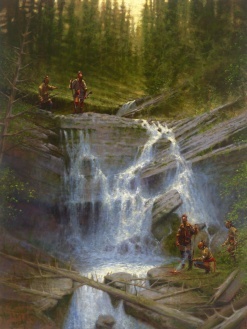 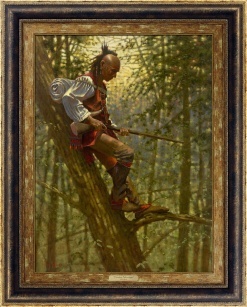 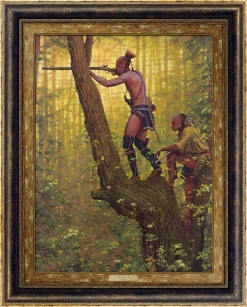 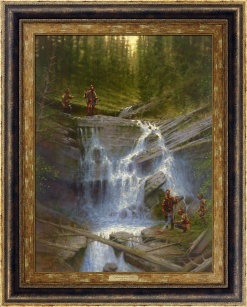 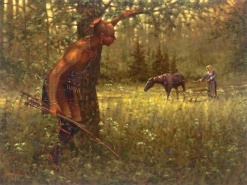 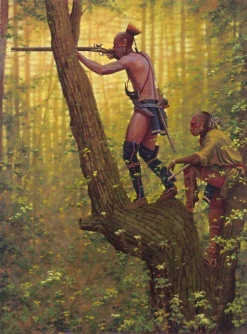 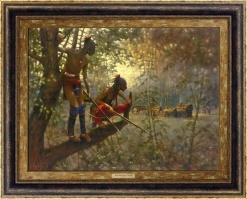 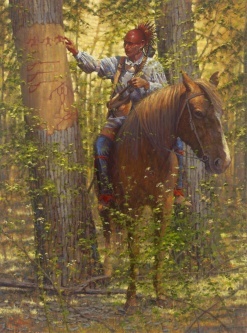 This image depicts three braves trying to smoke a bear down from a tree. These braves will need a lot of patience for one of nature’s most fierce creatures to give up the fight. 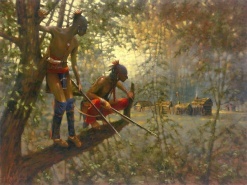 It will be a battle of wits to see who wins this conflict.